Transitioning from childhood to adulthood is filled with challenges. Along with the physical changes that are occurring, one is learning how to navigate the world around them and coming to a better understanding of themselves in the process. Here are some general resources and services available in our state that were created to assist you. Safehome.org has put together a resource for parents and caregivers on 'Keeping Kids Safe in Cyber Space'. The State Police of Rhode Island has put together a list of General Internet Safety Resources for the public of all ages to keep in mind including the first-ever coordinated message designed to help keep all digital citizens safer and more secure online. In an effort to protect children and strengthen families, our state has developed community programs and services that address varying needs. 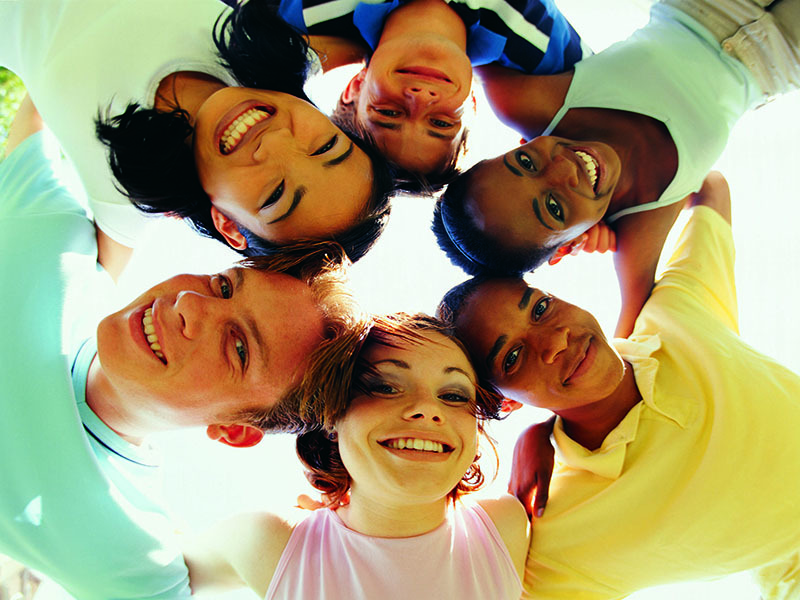 Following are brief descriptions of youth-based programs that are available. Find these services in your area. Family Friendly Centers Family Friendly Centers (FFC) offer a wide range of services to enhance after-school programming for elementary and middle-school students and their families. These centers work with their host schools and communities to provide services in the core areas of education, recreation, social services, and enrichment. The programs stress parental participation as well as partnerships among school and community stakeholders to meet the particular needs of the students and parents. 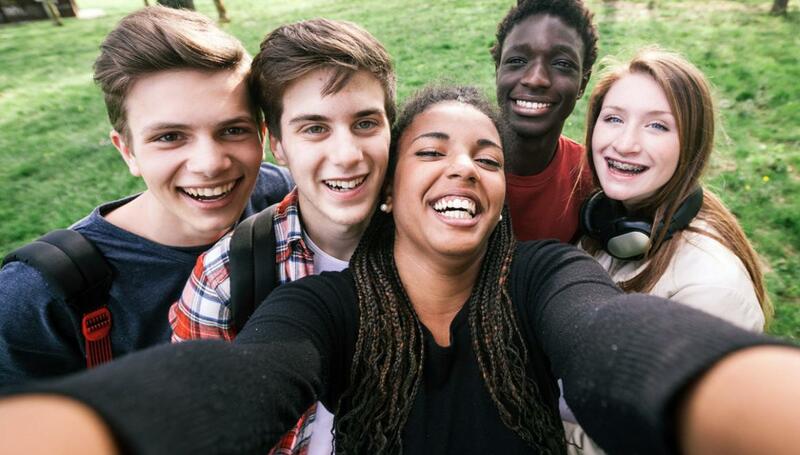 School Based Youth Services Program The School Based Youth Services Program (SBYSP) sites are located in each of the 21 counties in or near schools in urban, rural and suburban communities. The programs are open to all youth ages 10 -19 enrolled in the school that is home to the SBYSP, and provide services before, during and after school and throughout the summer. Major services include mental health and family services; health services; substance abuse counseling; employment services; pregnancy prevention programs; learning support services; referrals to community-based services; and recreation. Family Empowerment Program The Family Empowerment Program (FEP) is a unique intervention program that targets students and families with intergenerational distress related to substance abuse. It provides a comprehensive intervention that integrates direct family system and adolescent development services with school and community resources. Related issues include substance abuse, mental health, academic performance and attendance, violence, gangs and juvenile justice involvement. The goal of the program is to maintain the student in school while facilitating positive change that reduces risk factors in both student and family. Adolescent Pregnancy Prevention Initiative The Adolescent Pregnancy Prevention Initiative uses education, counseling and health services to reduce the birth rate among teens in high school. Any youth, at-risk or not, enrolled in the school that is home to the APPI program is eligible for services. Risk factors include sexual abuse or neglect at home, low school achievement, poverty, substance abuse or living in a home where siblings or relatives gave birth during their teen years. Referrals can come from peers, family members, guidance counselors, or foster families. Students also may enroll themselves. Parent Linking Program The Parent Linking Program is designed to ensure the development of life skills and graduation of teen parents. It is also a collaborative effort with Prevent Child Abuse NJ to prevent abuse and neglect of young children, providing parenting education and on-site child care for teen parents enrolled in the School Based Youth Services Program (SBYSP). Health insurance is available for eligible children under 18 years of age. NJ FamilyCare is New Jersey's publicly funded health insurance program and includes CHIP (Children's Health Insurance Program), Medicaid and Medicaid expansion populations. This program is geared to help New Jersey’s uninsured children and parents and guardians who fall within certain income criteria. Qualified NJ residents of any age may be eligible for free or low-cost health insurance that covers doctor visits, prescriptions, vision, dental care, mental health and substance use services and even hospitalization. Visit the NJ FamilyCare website to apply online or download an application. You can also apply over the phone by calling 800-701-0710. Newark School-Based Health Centers provide comprehensive health services specifically for children and youth ages 0-21. Centers are conveniently located in neighborhood schools. Services include: well baby checks; physicals, immunizations; behavior and learning concerns; mental health services; dental and vision care. Contact your local Newark public school for more information. These organizations seek to improve the health and safety of women, prevent unintended pregnancies, and assist individuals and families in making informed choices. To find a planned parenthood center near you call 800-230-PLAN (7526) or visit their website. Birthright provides caring, non-judgmental support to girls and women who are distressed by an unplanned pregnancy. Using its own resources and those of the community, Birthright offers positive and loving alternatives. Birthright presents many services and refers to many more. The organization provides friendship and emotional support, free pregnancy testing and maternity and baby clothes. It also gives information and referrals to help clients meet legal, medical, financial, and housing needs. All Birthright services are free, confidential, and available to any woman regardless of age, race, creed, economic or marital status. Birthright operates a 24-hour North American hotline, at 1-800-550-4900. Find a location near you. Under the state’s Safe Haven Infant Protection Act, an individual can give up an unwanted baby safely, legally and anonymously as long as the child is unharmed. The Act safeguards unwanted babies from being hurt or killed from the dangers of abandonment. The law allows parents, or someone acting on their behalf, to legally and anonymously surrender an unwanted infant who is under 30 days old to any hospital emergency room or police station in the state. The New Jersey Department of Children and Families will take the infant into custody and place the infant in a foster or pre-adoptive home. Parents will be safe from prosecution if the baby has not been abused. To learn more about this program call the Safe Haven hotline at 877-839-2339 or visit their website. The state’s Sexually Transmitted Disease (STD) Program strives to prevent and reduce the effects of STDs in New Jersey through prevention, education, screening, treatment, and surveillance. If you have questions you want answered, call the NJ STD/HIV Hotline at 800-624-2377. Find a screening clinic near you. New Jersey Youth Corps Helps those who have left high school before graduating. New Jersey Youth Corps is a state-administered, locally operated program designed to assist young adults (ages 16-25) who have left high school prior to graduation and prepares them for employment in the workforce. This program is a voluntary and full-time commitment through which Corps members spend half their time working toward a high school equivalency diploma (GED) and the remainder in community service and/or work experience projects. Additionally, personal and career counseling and support services are provided to help transitions to higher education, vocational training, employment, military or national service To learn more: Visit their website or call New Jersey Youth Corps at 609-292-2060. Find the help you need to handle a drinking problem. AL-ANON and ALATEEN, are national groups that offer support and information for families, friends, and others needing the services of Alcoholics Anonymous and Teen Al-Anon. Learn more about them and find a group in your area here. Is food consuming your thoughts? Eating disorders frequently appear during adolescence or young adulthood and are more likely to be experienced by women and girls, (although an estimated 5-15% of those who suffer from these disorders are male.) An eating disorder is marked by extremes. It is present when a person experiences severe disturbances in eating behavior, such as extreme reduction of food intake or extreme overeating, or feelings of extreme distress or concern about body weight or shape. Learn what stress is, how your body responds to it and how you can control it in a healthy way. Read and learn to find out if your level of stress is leading to more serious problems. All this and much more is available at Girlshealth.gov a website devoted to helping girls (ages 10-16) learn about health, growing up, and issues they may face. Promoting healthy and positive behavior in girls, the information is reliable and useful and is presented in a fun, easy-to-understand way. Bullying is unwanted, aggressive behavior that involves a real or perceived power imbalance. The behavior is repeated, or has the potential to be repeated, over time. Both those who are bullied and those who bully others may have serious, lasting problems. The older you get, the more bullying behavior has the potential to be considered a crime. Stopbullying.gov is a site that provides information about the different forms bullying behavior takes and what can be done about it. Regardless of whether you are the one being bullied or are a witness to this behavior, don't stay silent. Learn what you can do to respond to and prevent this abusive behavior. Suicide is a permanent solution to a temporary problem. Seek help before it is too late. Suicide ranks as the third leading cause of death for young people ages 10 to 24; only accidents and homicides occur more frequently. Firearms remain the most commonly used suicide method among youth, regardless of race or gender. Research has shown that most adolescent suicides occur in the afternoon or early evening and in the teen's home. Don't battle thoughts of suicide alone. Individuals seeking immediate crisis assistance should call 800-273-TALK (8255). Sometimes it just helps to talk to someone. If something is concerning you and you don’t have someone you feel comfortable discussing it with, try reaching out to the 2NDFLOOR - a confidential and anonymous helpline for NJ's youth and young adults ranging in age from 10 to 24. It is open 24-hours-a-day, seven-days-a-week. Youth can either call the helpline using a toll-free number, 888-222-2228 or access the interactive website. Calls to the 2NDFLOOR youth helpline are anonymous and confidential except in life-threatening situations. The service is designed for listening, helping and guiding youth with their concerns. The phone lines are staffed by licensed professionals and trained volunteers (who are closely supervised and guided by social workers and professional counselors.) Hearing impaired callers can reach 2NDFLOOR at the following TTY number: 732-264-1703.